Tom Bridegroom was a gay man. 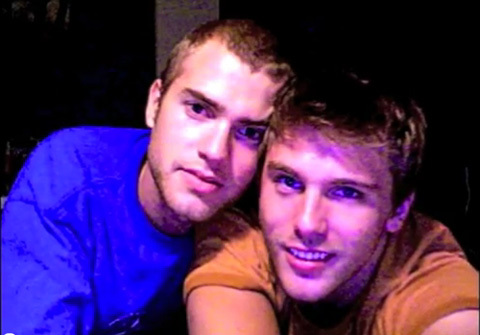 He planned to share a long happy life with his partner Shane Bitney Crone. That did not happen. Tom Fell from the roof of a 4 story building on May 7th, 2011. He died. Tom's anti gay family was very non-accepting. When Tom died, Shane was warned by a family member of Tom's not to show up at the funeral or there may be a violent reaction from Tom's father. On a night when North Carolina voted to place a ban on gay marriage in their constitution by a wide margin, I encourage everyone to watch this video and really see how not having these rights on the federal level harms gay couples. Tom's family took down his facebook page where his friends were leaving notes of support for his partner Shane. They tried to erase Shane from Tom's life. Shane is not letting that happen. We shouldn't either.